Over the past year, we strived to compile our knowledge and expertise to enhance our educational best-practice guides and assets. 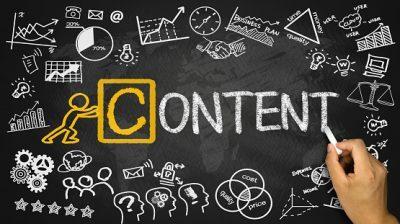 From in-depth resources (free publications, webinars, and papers) to dozens of informative blog posts, sharing our wisdom and developing helpful content is a core priority for us at LYONSCG. We couldn’t be more grateful to the amazing community of clients, partners, employees, and readers that help develop, guide, and optimize these assets. Enjoy our best content from 2017, and stay tuned for more useful, interesting assets this year. 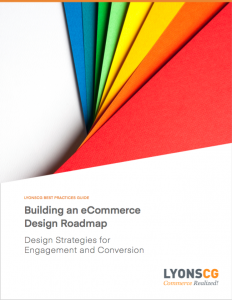 There is a significant challenge in the world of digital commerce: how to strategically make design decisions that enhance your brand while delivering robust business performance. 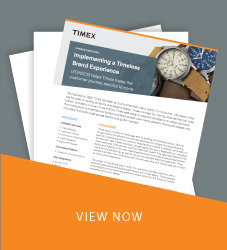 In this guide, we explore how our tried-and-true Design Roadmap process helps to prioritize and optimize business decisions and processes. Timex is an American watch icon. The brand was ready to evolve its digital experience and operations to optimize site stability, improve flexibility, and scale its business overseas. 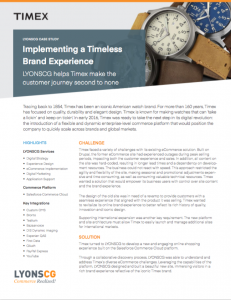 This case study dives into the winning solutions LYONSCG implemented to launch the new site on time, under budget, and before the holiday season. The launch of Magento 2 in 2015 was a transformative upgrade. Businesses have begun migrating to Magento 2 en masse, and the rate will only pick up as Magento 1’s service stop date draws closer. 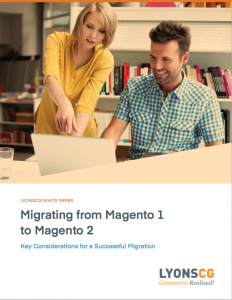 This guide highlights key considerations for a successful migration from Magento 1 to Magento 2. 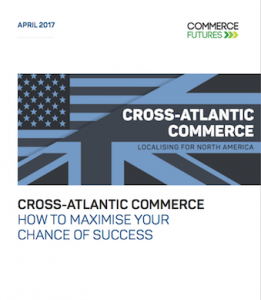 Digital commerce has made it easier than ever for retailers to expand their business overseas. However, more than half of these retailers don’t localize their content for their new, foreign markets. 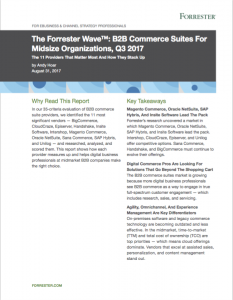 This white paper examines key strategies for intelligent internationalization, ensuring your business can effectively communicate with new customers. In this webinar, join LYONSCG Executive Creative Director, Mike Davidson, and UX Director, Matt Glaze, as they discuss how data can act as a seed for creativity in design. 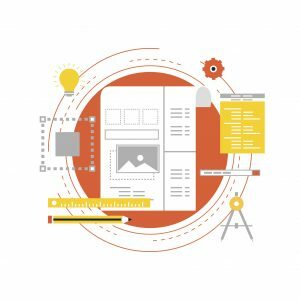 You will walk away with an enhanced knowledge of user experience optimization, and how data can direct future design efforts. Selling under multiple brand names, Destination Maternity is the world’s largest designer and retailer of maternity apparel. 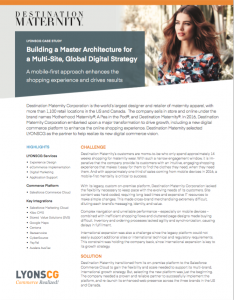 This case study highlights how Destination Maternity and LYONSCG partnered to deliver the flexibility and scale needed to support the brand’s international growth strategy. All too often, retailers focus solely on a design partner’s aesthetics and don’t take important operational and cultural considerations into account. 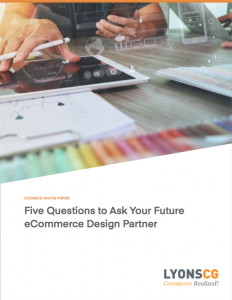 This guide looks into the key questions that paint a holistic picture of your potential design partners, and help you choose the right one.